For centuries, natural philosophers, their scientific successors, and theologians alike sought to explain the physical and natural world. The now common cultural narrative of perpetual conflict between science and religion simplifies the arguments and struggles of the past and overlooks cross-pollination between those who embraced faith and reason as the keys to understanding earth history. When geologists unequivocally dismissed the idea of a global flood and recognized Earth’s antiquity, many conservative theologians acknowledged that there was more to the past than literally spelled out in Genesis, the opening chapter of the Bible. But some Christians—those we now call creationists—rejected this perspective and chose to see geology as a threat to their faith. In so doing, they abandoned faith in reason and cast off a long-standing theological tradition that rocks don’t lie. The story of historical views on Noah’s Flood shows how there is far more to the story of the relationship between science and religion than the simple portrayal of a long-running feud (Gillespie, 1951; Glacken, 1967; Davies, 1969; Rudwick, 2005; Montgomery, 2012). By the end of the nineteenth century, conservative Christians generally accepted that there was no geological support for reading Noah’s Flood as a globe-wrecking deluge and that natural revelations established by science should guide biblical interpretation. Even the original fundamentalists accepted geologic evidence that contradicted the view of a six-day creation followed by Noah’s Flood as all there was to earth history (Numbers, 1993). But the forerunners of modern creationists chose to defend their preferred literal reading of scripture no matter what the rocks revealed. Dismissing the findings of geologists, they rejected reason in the name of faith. In this sense, modern creationism evolved in response to geological discoveries. 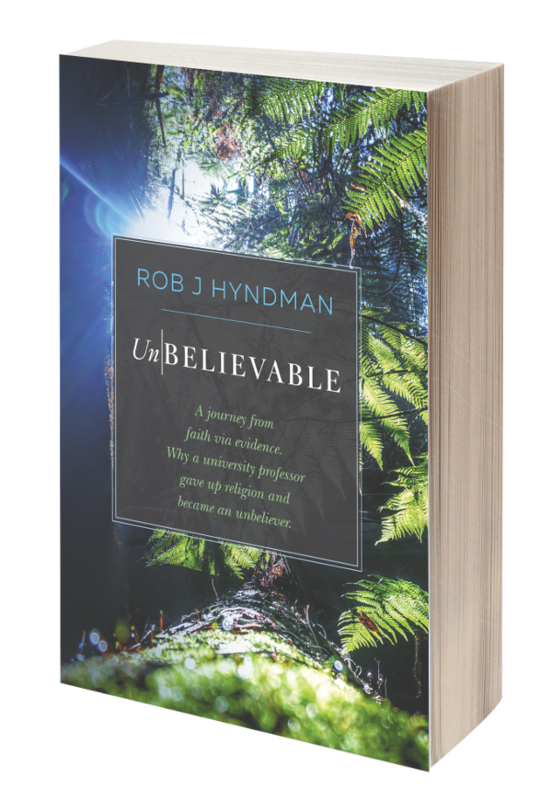 The following brief review traces aspects of this story to illustrate how geological debates evolved into theological schisms anchored by creationist views with no scientific currency. For the first millennium of Christianity, major theologians embraced knowledge of the natural world in order to defend against pagan challenges to biblical authority. Saint Augustine (354–413), Thomas Aquinas (1225–1274), and John Calvin (1509–1564) all endorsed reason as the way to learn about the world. Augustine was among the first to caution against advocating for biblical interpretations that conflicted with what one could observe for oneself. Centuries later, Aquinas praised the pursuit of knowledge and insight gained from experience reading God’s other book—nature. Writing at the time of the Reformation, Calvin, too, considered the revelations of both nature and the Bible as fundamental truths. In his Institutes of the Christian Religion (1559), Calvin explicitly embraced the idea of respecting natural truths revealed through the study of nature: “If we regard the Spirit of God as the sole fountain of truth, we shall neither reject the truth itself, nor despise it wherever it shall appear, unless we wish to dishonor the Spirit of God” (McNeill, ed., 1960, p. 273–274). Calvin believed in keeping an open mind when it came to evaluating what we can learn about the natural world from observation and experience. In his view, closing one’s eyes to the way the world works was to close one’s eyes to God. Augustine, Aquinas, and Calvin all believed that Noah’s Flood was a global flood. They interpreted fossil seashells found in rocks as compelling proof—how else could the bones of marine creatures have ended up entombed in rocks high in the mountains? Biblical interpretations accommodated new discoveries as knowledge of the natural world grew, because theologians adhered to the principle that God’s works in the natural world could not conflict with His Word in the Bible. Generation after generation of natural philosophers slowly uncovered facts inconsistent with a global flood, making it increasingly implausible to understand earth history in ways consistent with traditional literal interpretations of the Bible. In 1669, when Steno, the venerated grandfather of geology, laid down his principles for reading the rock record, he interpreted his observations of the Tuscan landscape as recording six stages, one of which corresponded to Noah’s Flood (Fig. 1). Steno’s insights framed how to read earth history directly from the rocks. In arguing that the Flood laid down strata that subsequently collapsed to form today’s topography, Steno indirectly introduced the idea of tectonic controls on landforms, a foundational concept of modern geomorphology. Steno’s little book, with its simple diagrams, formalized how to read earth history using the basic principles of geometry. The key wasn’t the underlying mathematical symmetry astronomers found in the heavens; it was simple rules based on what one could see for oneself. Before Steno, only a curious few read beyond the cover of nature’s great book to ponder the relationship between rocks and the lay of the land. A century later, geologic history began to challenge theological tradition after discoveries like James Hutton’s unconformity, separating two distinct sandstones, at Siccar Point (Fig. 2) demonstrated that Earth’s history was too complicated to be accounted for by a single flood, no matter how big. Mainstream theologians willing to allow that there was more to the geological story than laid out in the Bible, and that the days of creation may have been allegorical, were less inclined to give up on the reality of a global flood. Many believed that the biblical flood inaugurated the most recent geological age. The lack of human remains in rocks thought to pre-date the flood was widely considered to confirm this view. Although it is commonly assumed that eighteenth-century Christian theologians were opposed to science, some orthodox churchmen openly accepted the idea that Earth was ancient. In 1785, the Reverend James Douglas presented A Dissertation on the Antiquity of the Earth to the Royal Society. Douglas noted that sound geological observations supported the idea that the world was much older than the traditional 6000 years inferred from biblical interpretation: “Many well-informed persons have therefore been inclined to suppose that the earth was created in six expanses of time instead of six days” (p. 40). By 1800, the question under debate among natural philosophers was whether Earth was tens of thousands or millions of years old. Some, however, refused to consider geologic evidence and simply rejected an old Earth outright. In his Genius of Christianity (1802), François-René de Chateaubriand (1768–1848) argued that God “created the world with all the marks of antiquity and decay” (Roberts, 2007, p. 43). This new idea that God made the world to appear ancient—and therefore one could not investigate earth history by studying Earth itself—broke with tradition and garnered little support in the nineteenth century. In his influential Natural Theology (1802), Reverend William Paley echoed Aquinas and argued that because the Bible and nature shared the same author, scientific revelations that contradicted biblical interpretations provided natural guidance for better interpreting scripture. As realization grew that the world was unimaginably old, those seeking to reconcile biblical interpretation with geological findings employed two primary arguments. The day-age theory held that each day in the biblical week of creation corresponded to a geologic or cosmic age. The other theory, known as the gap theory, held that God created the world long ago but remodeled it for human use a few thousand years ago. The time in between wasn’t recorded in the Bible, creating an indeterminate gap between the first two verses of Genesis. In 1807, London’s Geological Society was founded to promote the elevation of facts and observations over imaginative theories. Central to the issue of whether a global flood shaped the world was the question of what carved valleys. Did topography form beneath the waters of a great flood, or did rivers slowly cut their own paths? Studies of regional geology were seen as key to such fundamental questions. In his inaugural address to the Princeton Theological Seminary in 1812, Archibald Alexander (1772–1851) promoted the need for scientific literacy among those preparing for the ministry. Alexander noted that natural history, and geology in particular, could help resolve difficult or ambiguous Bible passages. He preached that Christians should respect truth in all its forms because failure to take heed of scientific knowledge would only breed contempt for believers and hinder the spreading of the Gospel. At the same time, geologists moved the search for evidence of Noah’s Flood out of the rocks and up into surficial deposits and the form of topography as they continued to see the biblical deluge as a geologically significant event. In his Reliquiae Diluvianae (Relics of the Flood, 1823) Oxford’s first geology professor, Reverend William Buckland, gathered facts thought to demonstrate the reality of a global flood. He described great accumulations of bones he believed were deposited by an enormous flood “immediately antecedent to the formation of those superficial and almost universal deposits of loam and gravel, which seems impossible to account for unless we ascribe them to a transient deluge, affecting universally, simultaneously, and at no very distant period, the entire surface of our planet” (Buckland, 1823, p. 146). Buckland went on to admire the way in which originally horizontal strata were inclined such that mineral deposits and coal were accessible to miners, as well as how convenient it was that fertile soils were found in flat valley bottoms. Like many of his contemporaries, he thought geological evidence confirmed the Genesis stories and showed how well the world was designed for human use. After several decades studying Europe’s rocks and surficial deposits, Buckland eventually admitted to having let his imagination run wild in his zeal to defend a global flood. He formally reversed course when he was asked to prepare a volume in a series of treatises illustrating “the power, wisdom, and goodness of God, as manifested in the creation,” which was commissioned by the will of the Earl of Bridgewater. In his 1836 volume, Buckland acknowledged new geological discoveries that contradicted his earlier views. There was no geological evidence of a global flood after all. Shortly after Buckland’s recantation, Louis Agassiz invoked stray boulders in the Swiss Alps, grooved rock outcrops, and scratches on the underside of a rock overhang near Edinburgh to convince geologists that most of the evidence traditionally interpreted as resulting from a global flood actually recorded a flood of ice. Particularly compelling was Charles Lyell’s argument that the cinder cones of southern France were too fragile to have survived a global flood. Deep valleys were incised into hard lava flows that could be traced back to their volcanic source in the cinder cones. Thus, the valleys must have been carved after the cinder cones formed. Lyell reasoned that Noah’s Flood could not have carved the valleys because any flood capable of carving valleys into solid rock would have swept away the loose cinders that formed the volcanic cones. In the third volume of his Principles of Geology (1833), Lyell concluded that Noah’s Flood must have been a local or regional affair rather than a global deluge. Perhaps, he proposed, catastrophic flooding of a low-lying area like the Caspian Sea may have been recorded in the biblical flood story. By the late nineteenth century, educated Christians widely endorsed the idea of a local flood in response to new geologic evidence. Theologians across denominational bounds endorsed variants of Lyell’s Caspian Sea hypothesis as a reasonable way to generate a devastating flood in humanity’s ancestral homeland. In 1863, the Dictionary of the Bible dismissed the notion of a universal flood and argued that a local flood in the lower valley of the Euphrates River provided a reasonable interpretation compatible with scripture. Many nineteenth-century Christians—geologists and archaeologists among them—concluded that the biblical flood story described a devastating Mesopotamian flood. Forerunners of modern creationists adopted a different approach. In 1857, Philip Henry Gosse, a leading British naturalist, published Omphalos (“bellybutton” in Greek), in which he argued that Earth’s apparent antiquity was an illusion. In his view, all the world’s strata, fossils, and even fossil footprints were created at the same time, along with glacial furrows and polished rocks, evidence for the retreat of Niagara Falls, and mammoth bones gnawed by wolves. Confident he had the answer for the geological problems of the age of the world and the effects of the Flood, like Chateaubriand, he too thought God simply made the world to look old. Geologic evidence of past epochs of earth history was created to appear as if “all the preceding eras of its history had been real” (Gosse, 1857, p. 351). Gosse argued that because all organic life exists in a cycle of birth, growth, decline, and death, everything must have started somewhere within this cycle back at the Creation. Adam was not created as a fertilized embryo, for he had no mother. Gosse professed that as surely as the first man had a bellybutton, trees were created with rings and rocks with fossils. Victorian minds ridiculed mercilessly his idea that God preloaded fossils into rocks back at the original Creation. The roots of modern creationism run directly back to George McCready Price (1870–1963), an amateur geologist with no formal training. In a book designed to look like a geology textbook, Price (1923) asserted that there was no order to the fossil record. Rejecting the idea of fossil succession, he argued that the succession of organisms that geologists read in the fossil record was really just a mixed-up sampling of communities that lived in different parts of the antediluvian world. He considered the fossil record too incomplete to confidently reconstruct the past, citing the occasional discovery of animals thought to be extinct and known only from fossils. Leading fundamentalists praised Price’s book, calling it a “great and monumental” work of an “up-to-date scientist”—“a masterpiece of real science” by one of “the world’s leading Geologists,” and “the sanest, clearest and most irrefutable presentation of the Science of Geology from the standpoint of Creation and the Deluge, ever to see the light of day” (Numbers, 1992, p. 98). But even some of Price’s most ardent supporters had questions about his new flood geology. In a 1924 review in the evangelical journal Bibliotheca Sacra, the editor credited Price with throwing “a wrench into the smooth running machinery of the evolutionary theory” butwondered why it was that when fossils were found in the wrong order, they were always in exactly the reverse of that predicted by geologists (Numbers, 1992, p. 95). How could strata have gotten flipped upside down after Noah’s Flood laid them down if the Bible did not mention subsequent catastrophes? Despite such qualms, fundamentalist proponents of flood geology were inclined to assess Price’s credibility by the conclusions he reached rather than the strength of his arguments or evidence. Byron Nelson (1893–1972), one of Price’s flood geology disciples, reviewed the history of thinking about flood geology in The Deluge Story in Stone (1931). In praising Buckland as an upstanding nineteenth-century catastrophist, and overlooking Buckland’s famous recantation of Noah’s Flood, Nelson glossed over the reasons mainstream geologists abandoned flood geology in the first place. He then blamed the demise of flood geology on education having passed into the hands of men “more or less lacking in religious convictions” (Young, 1995, p. 252). Other fundamentalist theologians joined in steadfastly defending Price’s global flood. Herbert Leupold (1892–1972) dismissed all criticism related to the distribution and migration of animals to and from the ark as pointless. He thought that eruptions of vast amounts of subterranean water caused huge waves that deposited the entire fossil record, drowning mammoth, dinosaur, and man alike. Illustrating just how wide the communication gulf had become between geologists and fundamentalists by the mid-twentieth century, Leupold wondered “when will geologists begin to notice these basic facts?” (Young, 1995, p. 283). Such ignorance of how geologists had already considered, tested, and refuted a global flood helped keep flood geology alive in the twentieth century. Despite the efforts of Price and his followers, during the first half of the twentieth century, the majority of Christians—and evangelical fundamentalists—continued to endorse attempts to reconcile geology and Genesis. Even prominent anti-evolution crusader Harry Rimmer (1890–1952) acknowledged that Earth was quite ancient and thought the biblical flood was a local affair rather than a global catastrophe. Twentieth-century fundamentalist circles split into young-Earth creationists, who defended a global flood, and old-Earth creationists, who acknowledged geological evidence that we live on an ancient planet but maintained that God fashioned it for eventual human use. Curiously, the founders of modern young-Earth creationism grounded their unorthodox views in a surprisingly perceptive critique of pre-plate tectonics geology (Montgomery, 2012). John Whitcomb and Henry Morris wrote The Genesis Flood (1961), the book that spawned the creationist revival and resurrected evangelical faith in a global flood. Whitcomb, an Old Testament teacher, and Morris, a hydraulic engineer, embraced literal biblical interpretation to argue that the world was a few thousand years old and that Noah’s Flood had laid down all the sedimentary rocks before carving the topography we know today. Their lack of geological training did not stop them from claiming that a global flood provided a better explanation for the geologic record than did the theories of geologists. Following Price, Whitcomb and Morris argued that the stratigraphic column worked out by geologists was fiction because, they believed, it was based primarily on the illusion of fossil succession. Pointing out that if one stacked up the greatest thickness of sedimentary beds in every geological age, the pile would reach more than 100 miles high, they held this ridiculous height to invalidate the conventional geologic column. In coming to this conclusion, they breezed by the facts that the average thickness of the rocks of any geological age is only a fraction of its maximum thickness and that only a fraction of Earth’s dynamic history is preserved in any one region of the planet. Whitcomb and Morris did not go so far as to suggest that Christians reject geological facts, but maintained that the long and complex history of the planet that geologists read in the rock record was fiction. In their zeal to dismiss conventional geology as a sham, they described it in terms that serve well to describe their own work: “Procrustean interpretations, pure speculation and dogmatic authoritarianism—a system purporting to expound the entire evolutionary history of the earth and its inhabitants, yet all the while filled with innumerable gaps and contradictions” (Whitcomb and Morris, 1961, p. 212). In their view, the plain meaning of God’s words trumped anything science could throw at it. “The instructed Christian knows that the evidences for full divine inspiration of Scripture are far weightier than the evidences for any fact of science” (Whitcomb and Morris, 1961, p. 118). They read the Bible to determine geologic history and then looked for scientific support for their views—and dismissed or ignored contradictory evidence. They were surprisingly forthright about it: “We take this revealed framework of history as our basic datum, and then try to see how all the pertinent data can be understood in this context” (Whitcomb and Morris, 1961; preface to the 6th printing). Their view of earth history was based on a literal interpretation of Genesis. In the beginning, at the Creation, God made Earth’s core and some kind of crust. Rocks that display evidence of internal deformation, like folds or minerals that form only at high pressures or temperatures, date from the First Day. Over the next week, a tremendous amount of geological work was accomplished, especially on the Third Day, when mountains were thrust up and ocean basins were carved out in a great rush of water as the planet was remodeled into a suitable dominion for man (Fig. 3). All this erosion and deposition formed the non-fossil–bearing sedimentary rocks and carved mountains into them. Several thousand years later, the Flood ripped up the entire surface of the planet, killed everything not aboard the ark, and laid down fossil-bearing sedimentary rocks. Then the present geological era began after a brief Ice Age caused by all the snow accumulating on freshly uplifted mountains. As far as the appearance of great antiquity, it was just that. The world was created to seem old. Whitcomb and Morris simply dismissed fossil evidence for a long history of life “on the basis of overwhelming Biblical evidence” (1961, p. 457) and asserted that it was impossible to learn the age of the world through studying the operation of natural laws now in operation. The idea laughed out of Victorian England took root in Cold War America. Still, at the time, Morris admitted he knew few evangelicals who bought into their views (Numbers, 1992). One of many awkward facts facing advocates of a global flood is that although most of the world’s sedimentary rocks are found on continents, a global flood would have preferentially deposited sediments in low spots, such as ocean basins. Many flood geology proponents adopted the ecological zonation theory of Price’s student Harold Clark, which held that geological strata with distinct fossil assemblages represented antediluvian ecological zones. While they argued that the sedimentary cover on the modern continents was eroded from the ocean basins, this begs the question of how whole ecological communities of organisms and coral reefs could be transported intact and without mixing across great distances to be deposited preserving their original ecological zonation. When nineteenth-century geologists shelved the idea of a global flood as the central event in earth history, even the original fundamentalists accepted that the opening book of the Bible could not wholly explain the past. Later, in waging war on evolution, reactionary evangelicals resurrected discredited seventeenth-century ideas to explain topography, rock formations, and earth history—invoking a mysterious vapor canopy that they held fell from the sky to trigger Noah’s Flood. The displays at the Creation Museum in Peterson, Kentucky, USA, explicitly reject reason, branding it the enemy of faith and invoking a centuries-long, ongoing conspiracy of scientists to mislead the faithful about the nature of the world. Despite centuries of geological research that contradicts creationist claims, Gallup tracking polls from 1982 to 2012 have consistently found that more than 40% of Americans believe that God created people fewer than 10,000 years ago (Gallup, 2012). While struggles over the geological implications of biblical interpretations date back to the earliest days of the Church, the story of how naturalists wrestled over reconciling the biblical flood with a growing body of contradictory geological evidence shows that the twentieth-century revival of flood geology recycled ideas previously abandoned in the face of compelling evidence. In light of nineteenth-century scientific discoveries, it appeared reasonable to read the biblical account of the Flood as either allegorical or a story told from the perspective that the whole world appeared flooded from the ark. Time and again, Christians accommodated geologic findings by reinterpreting Genesis to preserve the integrity of both natural and scriptural truths. Of course, there were significant holes in conventional geological theories when Whitcomb and Morris laid out their biblically inspired views on earth history. Plate tectonics did not yet provide an explanation for the origin and distribution of mountains and other geological problems, such as the presence of fossils of temperate and tropical creatures entombed in rocks at high latitudes. But when the plate tectonics revolution swept through the earth sciences and explained previously perplexing observations, creationists ignored what they considered yet another misguided geological theory. While geological thought has evolved over the past several centuries, Christianity has too—to the point where several varieties of creationists now argue bitterly amongst themselves. Young-Earth creationists believe the world is fewer than 10,000 years old and that Noah’s Flood remodeled it into the topography we know today in one fell swoop a few thousand years ago. Old-Earth creationists accept geological evidence and endorse ideas such as the gap or day-age theories and progressive creationism (also known as theistic evolution), through which God guided evolution in creating the diversity of life. The latest step in the evolution of creationism is based on repackaging as intelligent design the inherently untestable assertion that God designed the world with a particular purpose or goal in mind. Today, after losing repeated court battles over efforts to teach creationist views in science classrooms, the creationist strategy appears to have shifted to promoting efforts to question evolution. Generally left out of the resulting “debates” is the simple fact that creationists lack any independently supported geological evidence to support their views. The late Harvard paleontologist Stephen J. Gould described a global flood as “the only specific and testable theory the creationists have offered,” noting that “the claim that creationism is a science rests above all on the plausibility of the biblical flood” (Gould, 1982, p. 12, 10). And yet, the geological case for a global flood that creationists offer as an alternative to evolution was discredited before Darwin set foot aboard The Beagle. Geologists assess theories by how well they fit data, and creationists evaluate facts by how well they fit their theories. This simple distinction frames an unbridgeable intellectual rift. Nowhere is this divide deeper than over how to interpret the story of Noah’s Flood, for the ideas invoked to explain such an event have been refuted time and again, and there is no geologic evidence of a global deluge. Following Whitcomb and Morris, today’s creationists continue to pick and choose evidence to support beliefs their faith inspires. Given the ongoing conflict over what to teach in science classrooms, perhaps teaching the historical evolution of creationism offers a fresh way for students to learn about the history of geology, and thereby our knowledge of the world and how it works. How many creationists today know that modern creationism arose from abandoning faith that the study of nature would reveal God’s grand design for the world? 1. Buckland, W., 1823, Reliquiae Diluvianae; or, Observations on the Organic Remains Contained in Caves, Fissures, and Diluvial Gravel, and on Other Geological Phenomena, Attesting the Action of an Universal Deluge: London, John Murray. 2. Davies, G.L., 1969, The Earth in Decay: A History of British Geomorphology 1578 to 1878: New York, Elsevier Publishing, 390 p.
3. Douglas, J., 1785, A Dissertation on the Antiquity of the Earth, Read at the Royal Society, 12 May 1785: London, G. Nicol. 4. Gallup, 2012, In U.S., 46% hold creationist view of human origins: Gallup Inc., http://www.gallup.com/poll/155003/hold-creationist-view-human-origins.aspx (last accessed 14 Sept. 2012). 5. Gillespie, C.C., 1951, Genesis and Geology: New York, Harper & Row, 315 p.
6. Glacken, C., 1967, Traces on the Rhodian Shore: Nature and Culture in Western Thought from Ancient Times to the End of the Eighteenth Century: Berkeley, University of California Press, 800 p.
7. Gosse, P.H., 1857, Omphalos: An Attempt to Untie the Geological Knot: London, J. Van Voorst, 376 p.
8. Gould, S.J., 1982, Creationism: Genesis vs. geology: The Atlantic, v. 250, no. 3 (Sept.), p. 10–17. 9. Lyell, C., 1833, Principles of Geology, Being an Attempt to Explain the Former Changes of the Earth’s Surface by Reference to Causes Now in Operation, v. III: London, John Murray, 398 p.
10. McNeill, J.T., editor, 1960, Calvin: Institutes of the Christian Religion, 1559 translated edition (Institutio Christianae religionis by J. Calvin; trans. by F.L. Battles): Philadelphia, The Westminster John Knox Press, 1800 p.
11. Montgomery, D.R., 2012, The Rocks Don’t Lie: A Geologist Investigates Noah’s Flood: New York, W.W. Norton & Co., 302 p.
12. Nelson, B., 1931, The Deluge Story in Stone: Minneapolis, Augsburg Press, 190 p.
13. Numbers, R.L., 1992, The Creationists: The Evolution of Scientific Creationism: New York, Alfred A. Knopf, 458 p.
14. Paley, W., 1802, Natural Theology: Or Evidences of the Existence and Attributes of the Deity, Collected from the Appearances of Nature: London, R. Faulder. 15. Price, G.M., 1923, The New Geology: A Textbook for Colleges, Normal Schools, and Training Schools; and For the General Reader: Mountain View, California, Pacific Press Publishing Association, 726 p.
16. Roberts, M.B., 2007, Genesis Chapter 1 and geological time from Hugo Grotius and Marin Mersenne to William Conybeare and Thomas Chalmers (1620–1825), in Piccardi, L., and Masse, W.B., eds., Myth and Geology: London, Geological Society Special Publication 273, p. 39–49. 17. Rudwick, M.J.S., 2005, Bursting the Limits of Time: The Reconstruction of Geohistory in the Age of Revolution: Chicago, The University of Chicago Press, 708 p.
18. Scheuchzer, J.J., 1731, Kupfer-Bibel in Welcher die Physica Sacra oder Geheiligte Natur-Wissenschaft (Sacred Physics): Augsburg and Ulm. 19. Whitcomb, J.C., and Morris, H.M., 1961, The Genesis Flood: The Biblical Record and Its Scientific Implications: Philadelphia, The Presbyterian & Reformed Publishing Company, 518 p.
20. Young, D.A., 1995, The Biblical Flood: A Case Study of the Church’s Response to Extrabiblical Evidence: Grand Rapids, Michigan, William B. Eerdmans Publishing Co., 341 p.